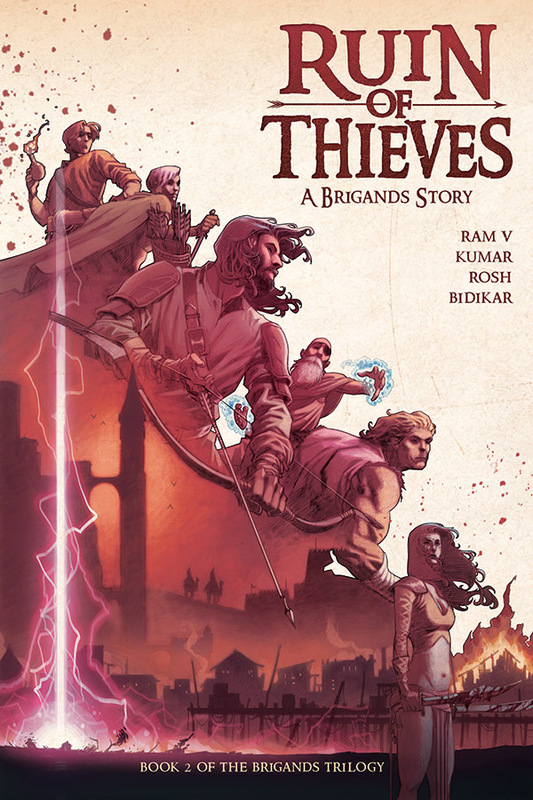 RUIN OF THIEVES is the continuation of the BRIGANDS story. The Brigands are a group of cutthroat thieves who have been granted a reprieve from death row if they steal The Myros Pendulum. A war will start and the "heroes" of our story must overcome their pasts and mistrust of each other to get out alive. BRIGANDS is Game of Thrones meets Ocean’s Eleven with a dash of Joe Abercrombie thrown in. 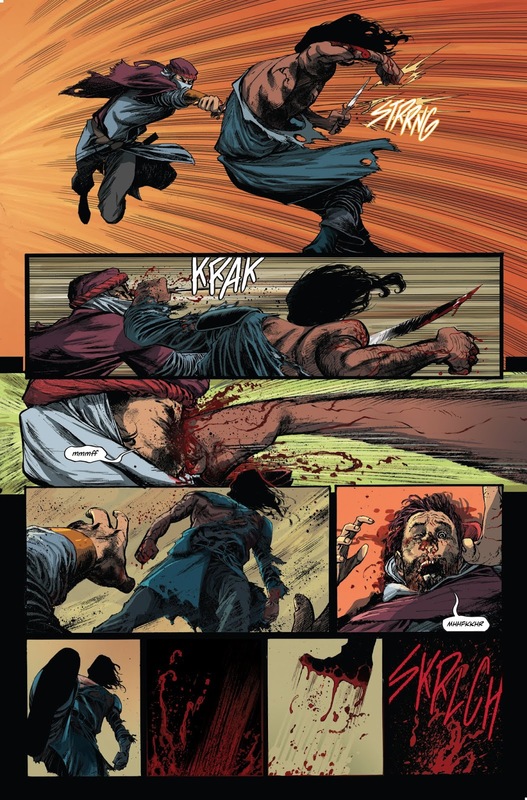 Writer Ram V (PARADISO, QUAKE CHAMPIONS) was aiming to give readers a fantastical action-packed adventure, and according to fellow writer Rob Williams (SUICIDE SQUAD, UNFOLLOW), he succeeded. 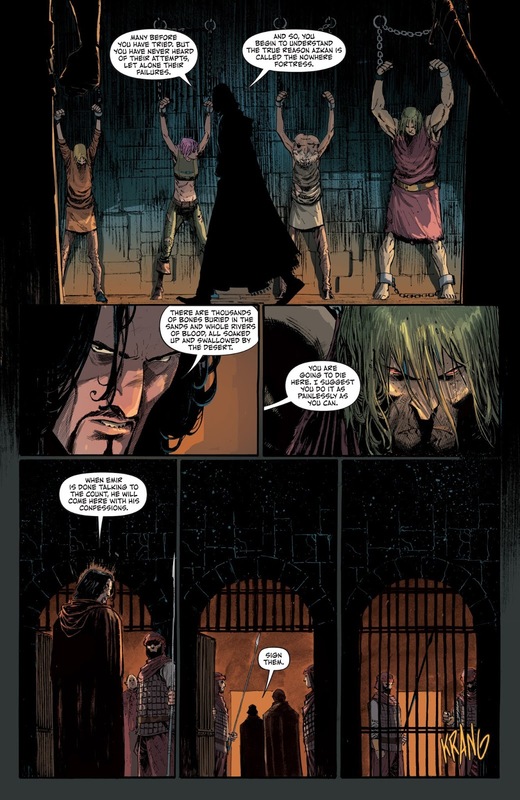 Williams calls the story "Sword and sorcery with a refreshingly grounded eye from two of the most promising new creators on the comics scene. Ruin of Thieves carries you along with its confidence." 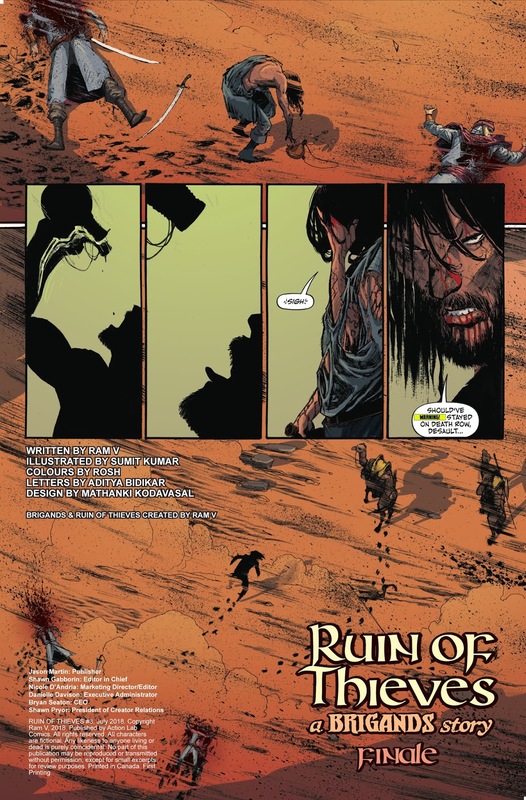 And the journey of BRIGANDS wouldn't be complete without beautiful art from Sumit Kumar and ROSH. 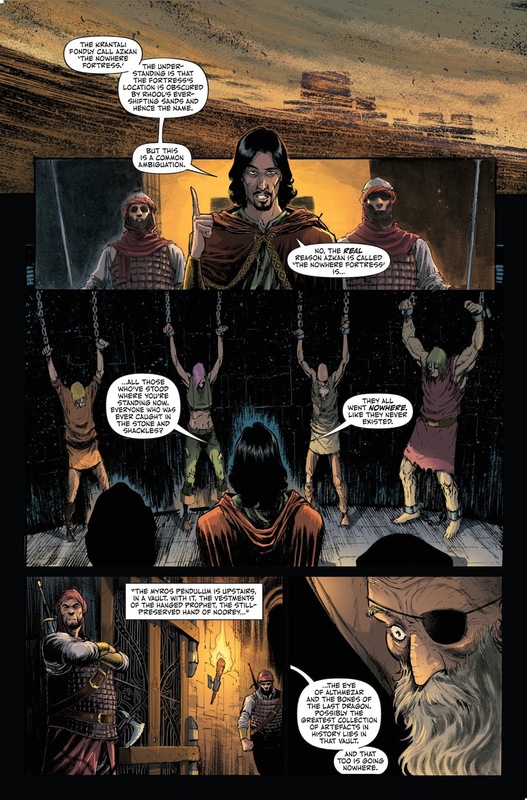 If you're a fan of SUICIDE SQUAD type stories where the heroes may not just stab their enemies in the back but also their allies, RUIN OF THIEVES is the perfect book for you. The complete volume will be in a comic book store near you on September 26th, 2018. You can preorder one or all three of the available covers with the following Diamond item code JUL181433.